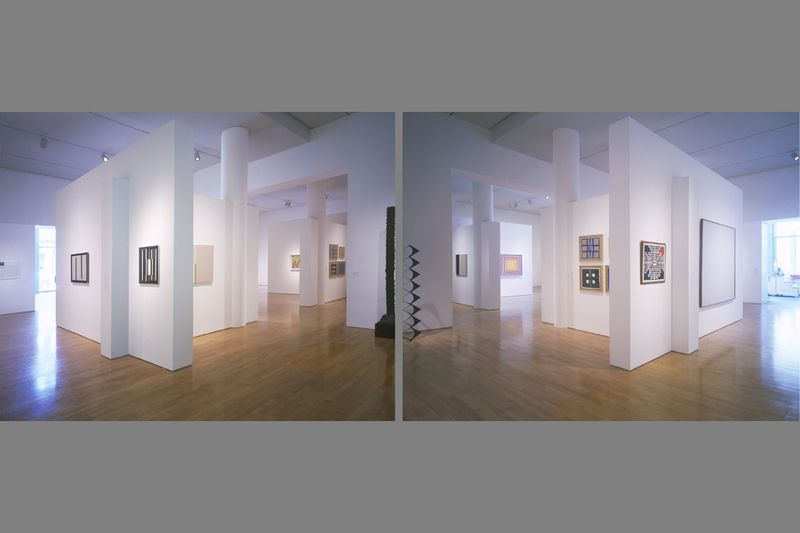 This exhibit design presents the artwork in the show in pairs of gallery spaces with artificially “constructed” reversed plans that duplicated every gallery with its mirror image as a way to subtly heighten the relationship between viewer and art. 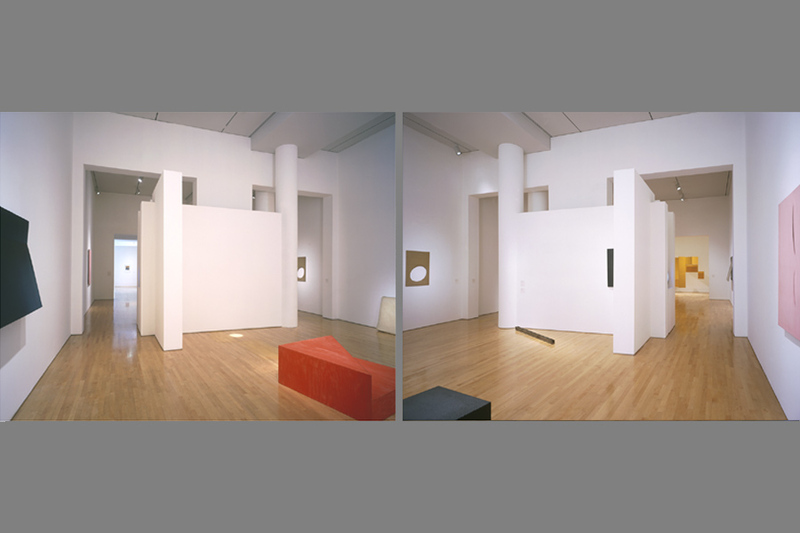 Taking a positive spin-off from Michael Fried’s criticism of Minimalism’s “theatricality” (because of its creation of a self-awareness in the viewer), this project manipulates the third part of the subject-object-context relationship toward that same end. Repetition clarifies the architecture’s role as a background or frame for human activity because the contents of each space (people and art) change, while the repeated background remains constant. 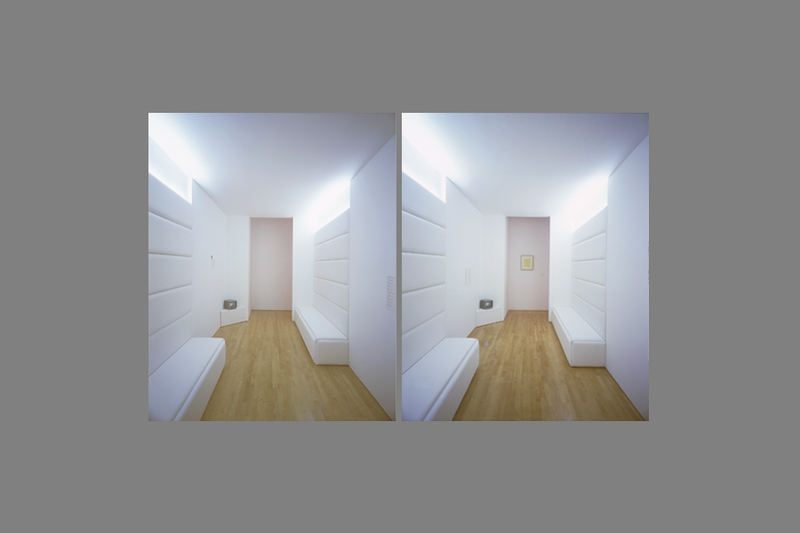 The mirrored relationship between the pairs of spaces creates a situation where space itself feels abstract and neither space seems to be entirely real. With the belief that architecture is not only about buildings and material, but is at its core about the relationship between people and places and things I eschewed the material fetish that seems to be sole content of most contemporary architecture. 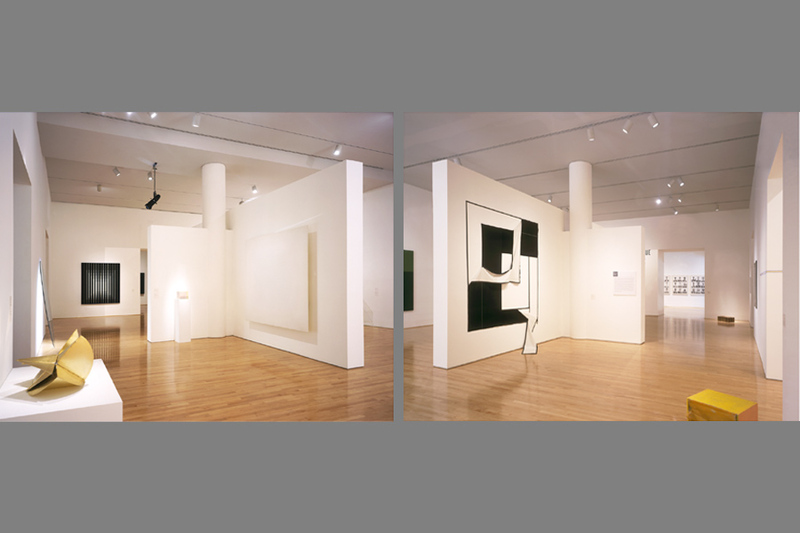 With nothing more than the expected white box art-context of white paint and drywall (and a few fake columns), a complex overlapping symmetry was developed to lead viewers through the exhibit while always putting the artwork in the foreground.